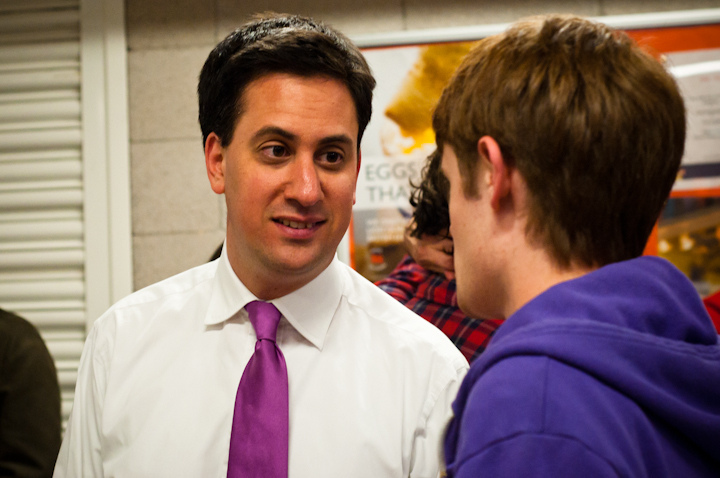 Bryony Clark reveals why a Tory MP is coming to the aid of Ed Miliband. Speaking at the Huffington Post UK’s fringe event at the Conservative Party conference in Manchester, MP Zach Goldsmith said Miliband had a “reason to react” to the Mail’s “appalling article” on Saturday, headlined ‘The Man Who Hated Britain’. The MP for Richmond Park and North Kingston also observed it was ‘odd for a newspaper to judge a man on the basis of the history of his family when that newspaper is owned by a family that did more to pursue the Nazi cause pre-war than any other [publication]’. The Mail had provoked outrage on Saturday with a blistering attack on the deceased Marxist academic, written by columnist Geoffrey Levy. Levy claimed that Ralph Miliband, a Jewish refugee who served in the Royal Navy during the Second World War, hated Britain and purveyed a ‘poisonous creed’ designed to destroy British institutions. The Labour leader responded with fury to what he described as an unjustified ‘character assassination’ of his father and demanded the right to reply. The Daily Mail agreed to publish Miliband’s own riposte to the attack on Tuesday, but also republished the original offending article along with an editorial headlined, ‘Ed Miliband, an evil legacy and why we won’t apologise’. Levy claimed that Ralph Miliband, a Jewish refugee who served in the Royal Navy during the Second World War, hated Britain and purveyed a ‘poisonous creed’ designed to destroy British institutions. In response to fierce criticism, the Daily Mail issued a statement defending its stance: “While we respect Mr Miliband’s right to defend his father … it is worth stressing that Ralph Miliband wasn’t an ordinary private individual but a prominent academic and author who devoted his life to promoting a Marxist dogma which caused so much misery in the world”. Bryony is a recent literature graduate and news junkie who has previously written for the Cambridge Student, the New Political Centre and the Independent.